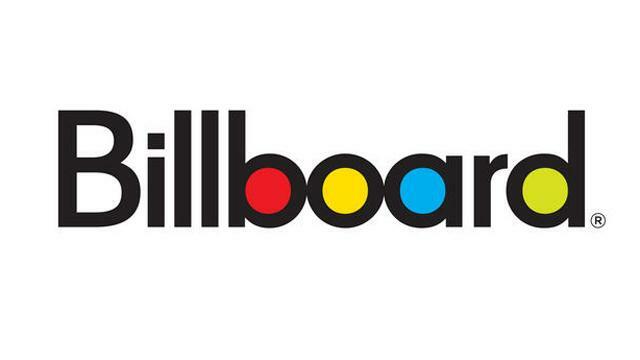 I’m an avid reader of Billboard Magazine. I find the reporting well informed and the writing lively, on top of the fact that the subject matter – the music industry – fascinates me. So it was with some concern that I read a recent Billboard article claiming that my recent study with Luis Aguiar, “Streaming Reaches Flood Stage: Does Spotify Stimulate or Depress Music Sales,” is wrong. Much of the Billboard article was sensible. For example, its author Glenn Peoples took issue with sound-bite headlines of some of the news articles on the research (in Slate, Time, WSJ, Forbes, Re/code, the Atlantic, Ars technica, and others). We share his bemusement at some of the coverage, and we share his main point that the nuance of our study was lost in the headlines and abbreviated treatments. The reason for this clarifying post is the “wrong” part of Billboard’s headline (“That Study on Spotify Everyone’s Talking About? It’s Wrong, and That’s Not Even the Point”). “Wrong”? Them’s fightin’ – I mean, clarifying – words. Our story goes like this. The revenue that rights holders get from permanent downloads and Spotify streams, together, can be given by Rev=q*pd+S*ps, where q=the number of permanent downloads (e.g. iTunes sales), pd is the payment to rights holders for a permanent download, S is the number of Spotify streams, and ps is the average payment per stream. Mathematically, the impact of a Spotify stream on revenue is then given by the following derivative: dRev/dS=pd*(dq/dS)+ps. The bulk of the paper is devoted to estimating the magnitude of the displacement effect (the term dq/dS showing how much permanent downloads fall with a one-unit increase in streams), then comparing it with what we know about -ps/pd to determine whether dRev/dS is positive or negative. Our estimate of dq/dS is -0.00726. This estimate, in terms that are somewhat easier to interpret, means than an additional 137 streams reduces permanent downloads by 1 (Why? Because 1/-0.00726≈ 137). This is all reported in the top panel of Table 7, in column (1). Table 7 also reports the standard error of the underlying estimate, and with that standard error one can calculate that the 95 percent confidence interval on this estimate runs between -0.0085 and -0.0061. Spotify will have a revenue-neutral impact if pd*dq/dS+ps =0, or if dq/dS=-ps/pd, so we need to compare our statistical estimate of dq/dS to what we know about -ps/pd. Here’s what we think we know. I say “think” because these numbers aren’t exactly freely shared by industry participants. We think that rights holders keep 70 percent of the retail price of a permanent download. According to the RIAA’s data on overall revenue per digital single sales in 2014, that comes to about $0.822, so we use pd=0.822. How about ps? Spotify reports, via Time, that their average payout in 2014 was between 0.006 and 0.0084 per stream. Cutting to the chase, we estimate dq/dS to be -0.00726, and we use an estimate of -ps/pd = -0.00852 for many calculations (based on a ps of 0.007 as a rough midpoint between 0.006 and 0.0084 and pd=0.822). Billboard’s point? -0.00726 ≠ -0.00852. As a matter of middle school ciphering, it is true that -0.00726 ≠ -0.00852. But that’s not the whole story. Our estimate is a random variable whose 95 percent confidence interval runs between -0.0085 and -0.0061. And what about -ps/pd ? We are relying on the reported fact that ps lies between 0.006 and 0.0084, and we believe based on other evidence that pd=0.822. Hence -ps/pd lies between -0.01022 and -0.0073. Let’s put all of those numbers together. First, dq/dS is between -0.0085 and -0.0061. Second, -ps/pd lies between -0.01022 and -0.0073. Notice how these intervals overlap? That means we can’t reject the hypothesis that our estimates of the two numbers are equal. Moreover, they are close. Hence we conclude that the additional revenue from streaming roughly offsets the lost revenue from permanent downloads. If we knew that ps were actually at the high side of Spotify’s reported values, then our conclusion would be a bit different. But we don’t have evidence to support that view. The few apparent numbers we’ve seen are quite a bit lower. Zoe Keating’s Spotify payments per stream average around 0.004. We’ve gotten feedback from other artists who doubt that the average is as high as 0.007. We share Peoples’ view that it would be desirable to have data on free vs premium streaming. And it would be great to have additional systematic data on other services (beyond the evidence in our Figure 3). We considered it a coup that we could find any systematic data on Spotify streams at all. But based on the information we have, our conclusion that additional revenue from streaming roughly offsets lost download revenue is warranted. And if anyone – Spotify, Glenn Peoples, the Pope – has additional systematic data to share, please drop us a line. We’re in the book.